#Giveaway #RC Contours Classique 3-in-1 Bassinet CLOSED! When it comes to shopping for baby, there are so many items that you come across. Some are items that you wonder if you will ever need or use, and others are those items that are must haves. The ones that your friends and family tell you all about and let you know you will be needing. Recently I was sent one of those items that I see to be a must have. Even though Wyatt is growing fast on us, there are still plenty of our friends who are still adding new bundles of joy to their lives, so when I find products that I not only used for my babies, but am more than happy to review and show others about, you will hear about it. I was sent the Contours Classique 3-in-1 Bassinet to review. I learned after having my first baby that there are just some items that need to be at the top of any expecting moms list, and well, this bassinet is a item that will count as three. When I had Estrella, I found that not only was it great to have a bassinet, but having a changing table was also a mom saver. Then when I had Robert, I found that having a Moses basket was a item that I did not know what I did with out when Estrella was a baby. So you can guess, that when Wyatt came along, I was a seasoned pro, and the must have can not do without items, were ones that went on the preparing for baby list right off the bat. Well, I found that if you are preparing for baby, the Contours Classique 3-in-1 Bassinet is the item to get, then you can cross of the bassinet, changer and Moses basket all in one stroke! The bassinet and Moses basket are great items to have in those first few months, or until baby reaches 15lbs, which in my case, Wyatt soared to that 15 lb mark by the time he was 2 months. Even with that said, I found that the changer was great to have and use during diaper changes, and with this bassinet there is quite a bit of storage that is great for holding the diapers, wipes, a change of clothes, toys to distract a squirmy baby and more for any other items that I may have missed that are ideal to have nearby during a diaper change. I also found that even though we did not get a chance to test out the bassinet and Moses basket on our Wyatt, we were able to test it out and see it in use with our friends baby, who reports that this 3-in-1 bassinet is the most versatile item that they have received for their baby, and it also appears that they will be able to use it longer than we would have! I love not only finding, but also knowing that the items I find are great to have and do the job they are meant for, so when you are preparing to bring a new bundle of joy into your life, save time and money by getting the Contours Classique 3-in-1 Bassinet! Well, the wonderful people from Kolcraft would like to make one of my amazing readers lives a little easier, by giving them their own Contours Classique 3-in-1 Bassinet!! Previous Post Glow Crazy Doodle Dome #Giveaway #RC CLOSED! Next Post Oz The Great and Powerful – "Argument Over Oz"
This is really nice. It would have been helpful with my little ones. I love the elmo adventures potty seat! Their jogging strollers look really nice. The Wonderbug Activity Center looks awesome, too!Thanks! I commented on the Wide World of Plate Frames.Thanks! I would also love the Sealy® Nature Couture™ Healthy Grow™ 2-Stage Infant-Toddler Crib Mattress! I'd like the MLB chicago cubs step stool! I love the Jeep® Overland Limited Jogging Stroller. Blog button; http://myaddictiongiveaways.blogspot.com/Blog share;http://myaddictiongiveaways.blogspot.com/2013/02/mommy-katie-giveaway-rc-contours.htmlI also entered the SodaSpark giveaway. I entered the cuisinart baby food maker giveaway. Kolcraft ® Wonderbug ™ Activity Center looks super fun! I would love their Kolcraft Optima Double Stroller!! I like the jogging stroller. The Contours Optima Tandem Stroller. I love the Kolcraft wonderbug activity center! The Sealy Sweet Pea® 2 in 1 Maternity & Nursing Pillow looks perfect for me right now. Kolcraft® Universal Express Rider® StrollerThanks for the fantastic giveaway! I think the J is for Jeep® Wrangler Sport Jogger is great! Contours® Optima™ Tandem Stroller seems really cool to have. Another product that I like best is the Elmo Adventures Potty Seat! I really like the Kolkraft Step Starter 2-in-1 Walker . I entered the Glow Grazy Doodle Dome giveaway and the Kohl's giveaway. I love your website Katie!! Oh I also love the Contours® Options® 3-Wheeler Stroller! I entered your Kohls giveaway! step starter 2 in 1 walker. entered the VTech Phone giveaway. I love their crib mattresses! Jeep Wrangler Twin Sport All-Weather Double Stroller. I entered the Disney iHome Wheres My Water Speaker giveaway. I really like the Kolcraft Step Starter 2-in-1 Walker. I also like the Elmo Adventures Potty Chair! thanks for hosting! I like the Elmo Tiny Steps 2-in-1 Activity Walker. I love the Kolcraft Wonderbug Activity Center!! I like the Contours® Options® 3-Wheeler Stroller. Thanks! I like the J is for Jeep® Wrangler Sport Jogger Model: JJ015. I like the Elmo Tiny Steps® 2-in-1 Activity Walker. 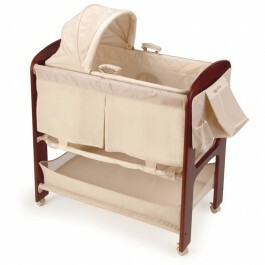 Contours Classique 3-in-1 Bassinet is fabulous! The Philadelphia Phillies Umbrella Stroller!! LOVE it!